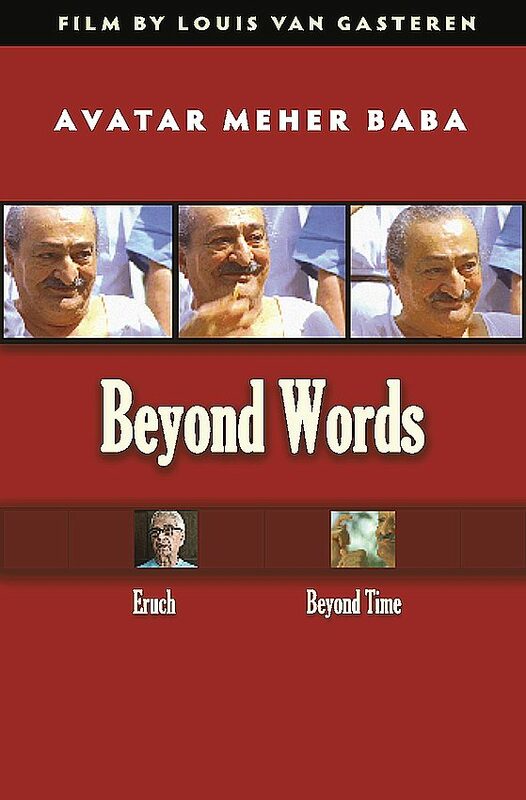 Louis van Gasteren's 1967 film of Meher Baba featuring previously unreleased footage of Baba, Beyond Words is now available as a DVD. It includes digitally remastered footage of the original 1967 exquisite film of Meher Baba, a second section Eruch, documenting the van Gasterens' return visit to Meherazad in 1997, and a third section Beyond Time. The DVD is in English and is accompanied by a 32-page booklet describing the film project with 69 color photos of Baba from the film. The booklet is available in either English or Spanish. The Spanish version also includes a translation of the section Eruch.